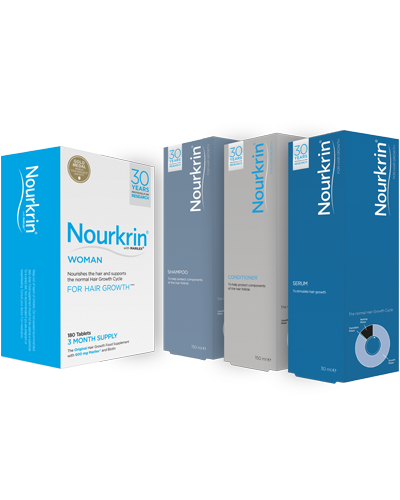 Nourkrin® has really helped with my hair loss and thinning hair. I suffered quite severe alopecia 2 years ago. Took Nourkrin® for 6 months. My hair grew back and became stonger and thicker. Unfortunately I have noticed some patches re-occuring so I am now taking the tablets again and after one month have seen a significant improvement.